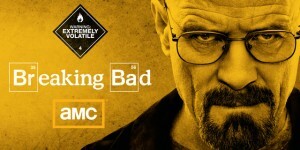 The fourth season of “Fringe” is well underway, while the fourth season of “Breaking Bad” has ended with a bang. Both are among our favorite shows on television right now. This week, after a quick check-in with other freshman series (rest in peace, “Free Agents,” but is “2 Broke Girls” back from the dead? ), we focus in depth on the worlds of two Walts: Walter Bishop, and Walter White. This entry was posted by Ryan on October 24, 2011 at 3:00 pm, and is filed under Podcasts, TV. Follow any responses to this post through RSS 2.0. You can skip to the end and leave a response. Pinging is currently not allowed.